Having 3 kids I have tried lots of different diaper pails. From plastic to steel pails, I have found many pros and cons about all of them. 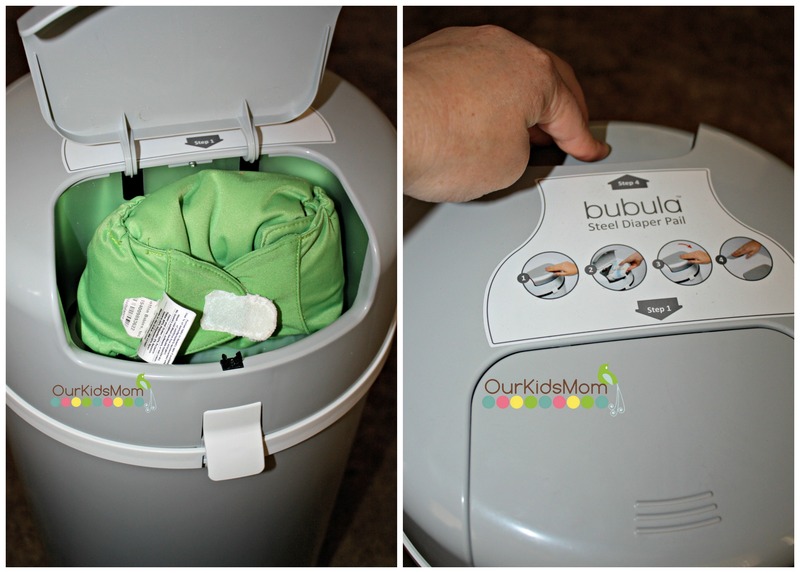 I was introduced to the Bubula Stainless Steel Diaper Pail and was very open to trying out a new pail. Bubula is a stylish diaper pail that would look gorgeous in any nursery. With multiple colors to choose from there is one that will fit right into your decor. Being designed and made from steel and aluminum there is no place for odors to linger. It’s so easy to clean and wipe down, with no worries of any stains. First thing I noticed about the Bubula is the size. This is a very large pail as well as nice and tall. I personally think this would be the perfect pail for anyone with more then 1 baby in diapers. On the pail there is a safety lock to keep curious little children out from creating that dreaded mess. Using the pail is pretty simple. Open up your pail and load in a bag. The best thing is you can use any bag you would like… there is no going out and having to buy special bags. Open the small front lid and place your soiled diaper into the disposal compartment and close the lid. Press the button on the back and your diaper drops into your bag. 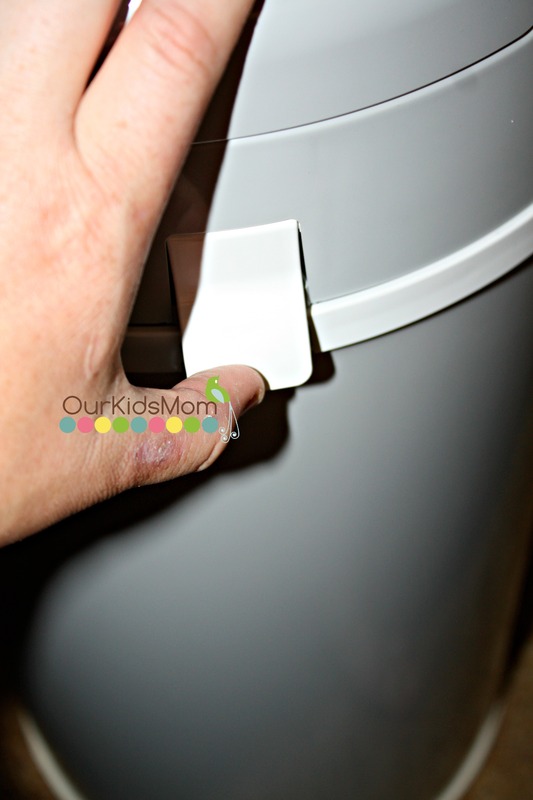 Having the diaper pail seal your diaper in before it drops into the bag keeps any smells from escaping. 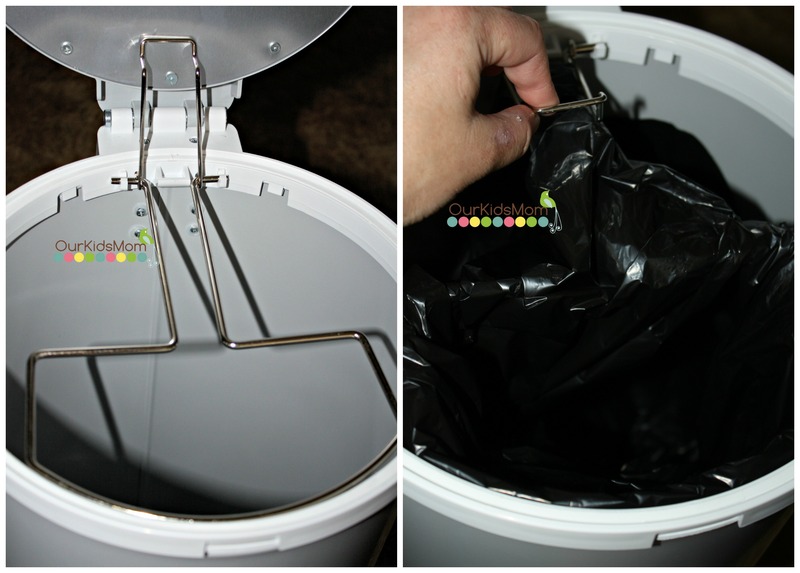 Thanks to the great size of the pail I am able to use it for my cloth diapers! 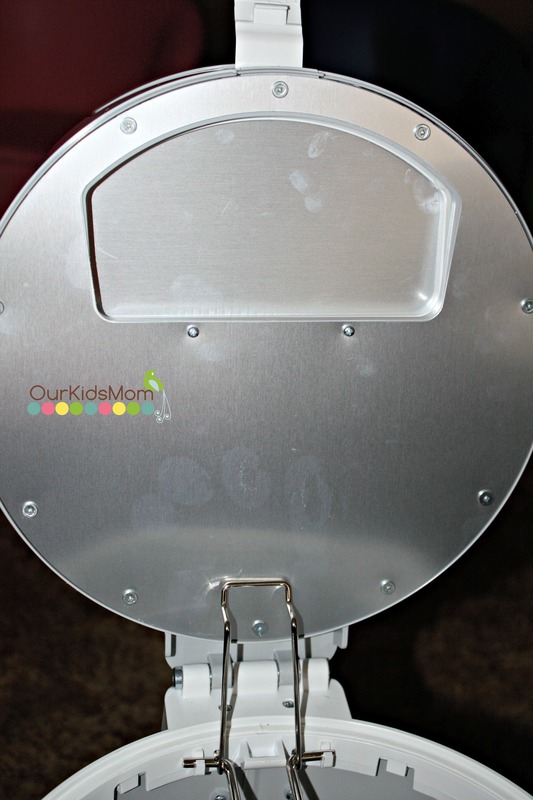 What do you do with a diaper pail when you don’t have any kids left in diapers, normally I would get rid of the pail. Not the Bubula, with the size and stylish look of the pail you can keep it and use it as a trash can, giving you longer use out of the the pail. Do you have a baby on the way, or know of someone who is having a baby and need a great gift? Look no further this is a perfect gift, head over to www.mybabybubula.com to learn more or you can head over to www.amazon.com to purchase your pail online or at Babies “R” Us and buybuyBABY and purchase a pail in store. I just got one of these for my baby due in 7 weeks. My husband, who is an engineer, thinks the little tab on the side looks weak and he thinks it will break off easily. Otherwise, the steel pail and the design of it is great. These look so nice and would be handy to have in the nursery! I think this is a great pail to have on hand in the nursery so Mom can have her diapers in a nice looking pail. This looks like the nicest pail I have seen so far! I think this is a great pail to have on hand in the nursery so Mom can have her diapers in a nice looking pail. This looks like the nicest pail I have seen so far! My sister needs to get one of these for her nursery! I’m due in January, and this diaper pail is definitely on my wish list! These are really nice, and I love the colors. I have to keep this in mind as a gift when the opportunity arises!!! I would love one of these for baby number 2. 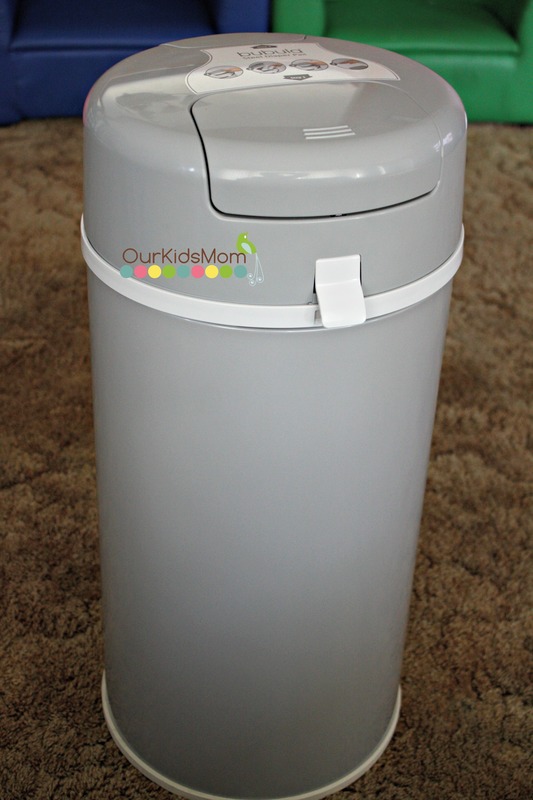 A diaper pail may not be the most glamorous gift for a mother-to-be, but it certainly would be a useful one. To be honest, I wouldn’t have considered it before reading your review of the Bubula. Thanks for a great idea. Steel doesn’t hold onto scent like plastic. This is a great idea! This is the nicest pail I have seen for,holding diapers and shouldn’t hold smells as much as plastic pails.